The inspiration for this project came from this pin which is pinned to my For the Home - Decorating board. Original source for this photo is unknown. If it's yours, let me know so I can give credit. This was so easy to do and only took a few minutes. I just printed out sentimental dates and put them in the frame. Seriously, it was that easy! I scored this frame at Goodwill for $3.00 which made this project even better! 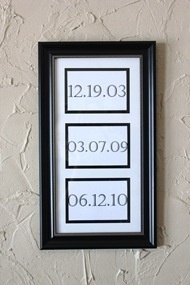 You could use any dates such as birthdays, anniversaries, or wedding day. I may have to make more of these. They would make such an easy and affordable gift! 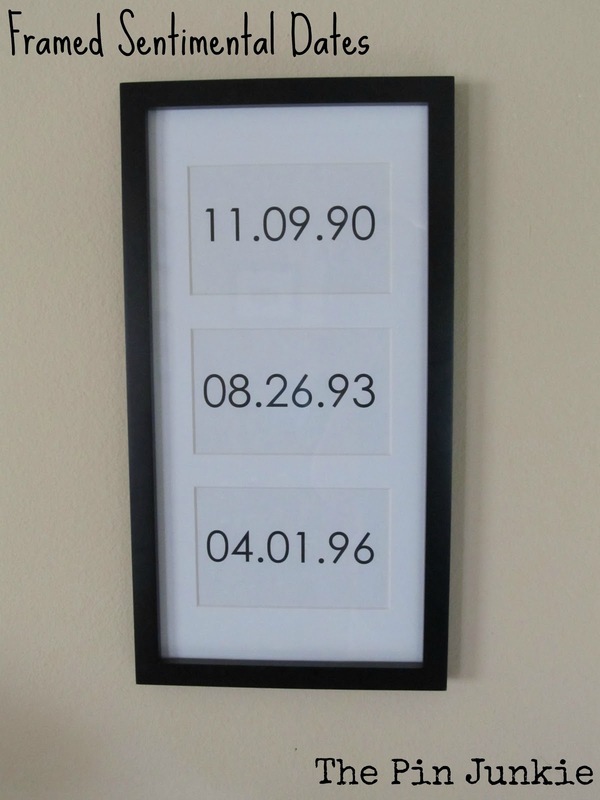 That is a cute idea and I love the fact that this would be a great piece to initiate conversation with others about the dates! Thanks for linking up this week to the party - hope to see you this week as well! Fantastic idea! I found you through YourHomebasedMom and have pinned a couple of your ideas. Thanks!